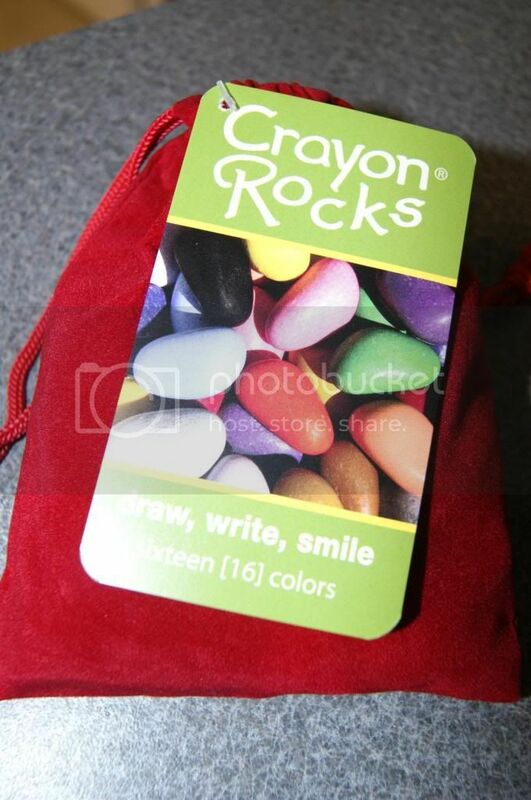 Andrea's World Reviews: Crayon Rocks Review & GIVEAWAY!! It's that time of year. The time of schoolwork, homework, school projects. The time to begin the transition from mostly outside activities, to indoor ones, and, soon enough, the time to create holiday arts and crafts. All of the activities mentioned above require the right "tools". There are countless products to choose from, and most any of which will actually function, but that hardly means they work well, and it certainly does not make them the best choice. There are so many qualities that can make or break a product, especially a children's product. The most important thing I look for in a children's product is safety. It is crucial that I know what I am giving to my child, and that I can be confidant in the safety of the items I choose. The best way to know something is safe for children, is to know that it is 100% natural. In addition to safety, it is also important that the item is easy to use, for children of any age and advancement. And of course, the item has to work well in general. Something that produces poor results, is useless. When you start being so specific in what you desire from a product, the long, long list of choices quickly shrinks. In fact, so far I have only found one product that can fit all of the roles that I mention and meet all the requirements I have. That miracle product is Crayon Rocks. If you have never heard of Crayon Rocks, you have been missing out on something really cool. 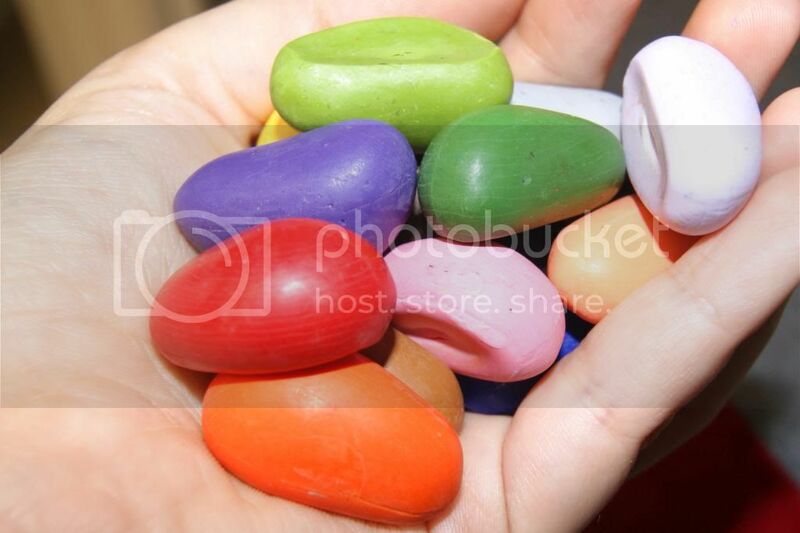 Crayon Rocks are All Natural Soy Wax Crayons made only from USA grown soybeans and mineral pigments. In addition to being All Natural, the super unique shape of these crayons makes them really special. These are not long sticks that are difficult to hold and easily broken by little hands, they are small contoured "rocks", that easily fir in the hands, feel comfortable and do not break. There are no silly wrappers to get in the way or peel off, and the colors are actually recognizable easily without a wrapper(unlike most crayons where all the dark colors look the same without the wrapper, making peeled crayons a huge pain to use). The colors are rich and vibrant, and the wax is so smooth. The colors glide onto the page without a waxy buildup. Have you ever had crayons that are so thinks and waxy that you can actually see and feel the texture on the page, and you could even scratch it back off if you wanted to? That is a sign of poor quality, and it makes anything you use them on look terrible. Crayon Rocks are nothing like that. The color is always even and saturated, but the wax is very heavy or bumpy. They are like writing with a feather. That is so great for kids. I cannot tell you how many times my kids(and even I) have broken crayons trying to get the color to be solid. Coloring or drawing should be fun. It should not feel like work or be frustrating because your equipment does not operate properly. These can even be layered to create beautiful artwork. Other crayons simply will not work on top of one another well. The true test of quality for me though, is how well they work for my kids. 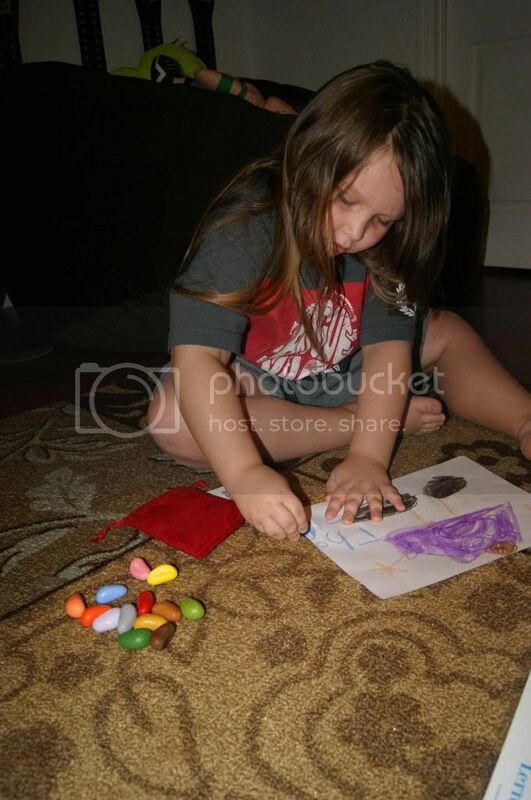 My son LOVES to color and draw, and he is very picky to make sure things come out how he sees them. He will demand a certain color if that is what he wants, and will not ever settle for "the next best thing". The Crayon Rocks were perfect. He loved coloring with them, and I was amazed at how great they worked for him, especially since he was coloring on the carpet without anything flat underneath the page. Most crayons would not even work on a soft surface like that. 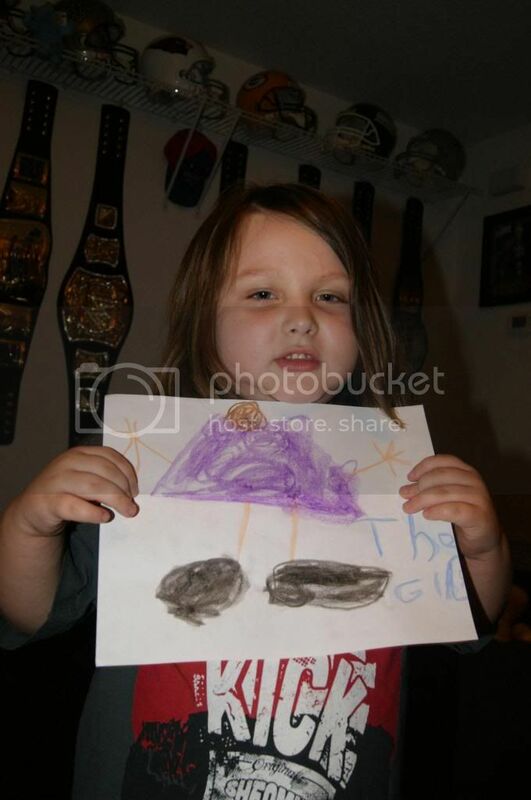 He was so proud of his artwork, it really warmed my heart to see him so happy, and his confidence was even boosted. The only problem I have had is that my daughter wants to use the Crayon Rocks too, and my son does not want to share them. That must really mean that he loves them, because she would get his regular old crayons all the time and he never cared. Crayon Rocks are perfect for any coloring mission. These small rocks are huge on performance. They even last so much longer than you would thing. Since they are not leaving a waxy buildup, you are not loosing a bunch of the crayon, making them last for ages. These are still the same size as they were when he got them, and he uses them every day. Not only that, but instead of a crummy cardboard box that crushes the first time you use it, Crayon Rocks come it a super cute drawstring velvet pouch, so you always have a place to store them. And since you don't have to stuff them in like you do with a box(which breaks them when kids try it), they are easy to put away. My son puts them away on his own, which he never used to do. Crayon Rocks come in 16 fabulous colors too, so no matter what you are looking for, you are covered. They are perfect for coloring books, drawing, projects and everything in between. 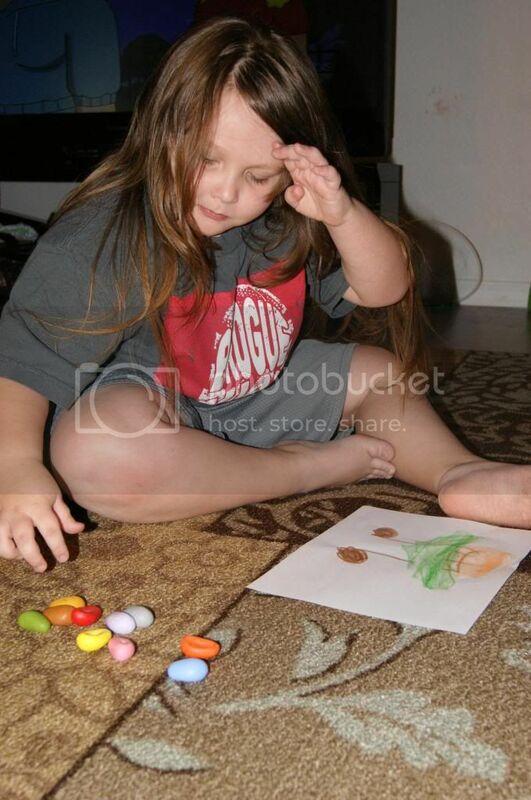 School, home, travel, Crayon Rocks do it all. Everyone that has seen the Crayon Rocks is obsessed with them, even my son's teacher. She raved about how they were perfect for her special needs students and that all the kids love them. That really says a lot. 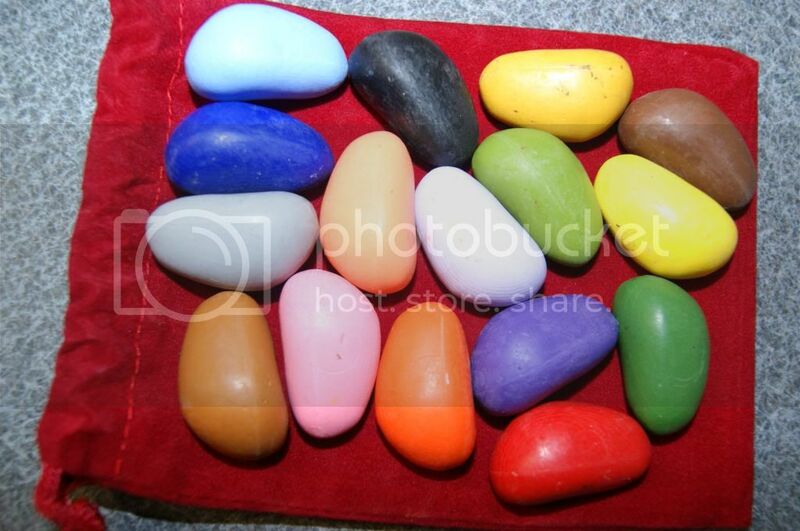 I want each and everyone one of you to try these fabulous Crayon Rocks. While I cannot make that happen, I am going to give away a 16 rock bag to one very lucky winner. Enter below. Good luck. I love that they come in a pouch and not a box. I like that they are hand size for little hands.